What, Why, When, How & More. Tuckpointing is the process of removing and replacing deteriorated, damaged and missing mortar in between brick, block, stone and other masonry surfaces. 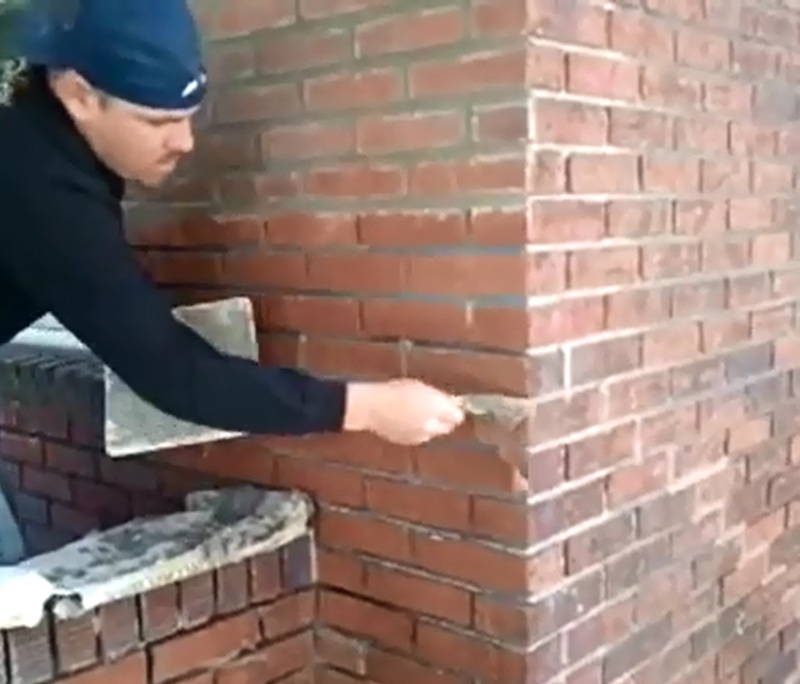 Tuckpointing mortar into open joints. Frequency will vary. 20-30+ years. After the initial build in any brick, block or stone building or structure the mortar will last quite a while. Especially if it has been maintained by way of spot tuckpointing and a quality masonry sealer is applied as often as necessary. The original mortar could last 50+ years before a solid tuckpointing job is needed. The actual lifespan will vary in different applications. A freshly tuckpointed wall should last 25+ years. Why not as long as the original mortar? The original mortar bed is 3-4 inches wide. Tuckpointing is put in at about 1″ or less depth The wider joint, understandably lasts longer. Anything with voids in joints over 1 inch deep, should be heavily considered for relay. New construction is also typically laid with new material that has less weathering and voids for moisture to pocket in during freeze thaw cycles. Quality of Work. This is the largest factor in how long anything lasts. A job done well vs a poor job could be the difference of decades in lasting work. Rest assured, Here at Atek our employees are not only educated in the how’s of addressing projects, but as well as the Why’s. If you know how and why something needs to be done a certain way, it leaves little to no room for error. The Type of mortar and additives used will affect the lifespan. Different mortars last longer than others. Colors, adhesives, curing additives, amount of Portland cement, lime and type of aggregate or sand are all things to consider when making a mix. A typical new build will require tuckpointing after 30-40+ years. The new tuckpointing, if it’s a job done well, should last 25+ years. Weather. St. Louis Weather Especially. Over time weather causes damage to brick and mortar and if left untreated can cause water entry, brick movement and even walls to collapse. Precipitation, even high humidity will cause moisture on, in and around brick and mortar. During freeze thaw cycles in winter and spring, that water expands and contracts causing movement and deterioration of the materials. The sun is another culprit to damage to mortar. The sun’s UV rays and intense heat combine to slowly deteriorate mortar joints as well. Because Darker colored mortar will attract the sun’s energy more, it typically does not last quite as long. Tuckpointing can also be done for aesthetic reasons including changing the color of the mortar and, when combined with restoration cleaning, making an old wall look new again. The tuckpointing process can be found below. If you have any questions, shoot us an email or give us a call we’re always round for help. 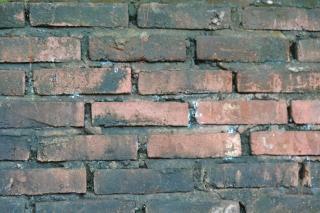 Tuckpointing can be done anywhere deteriorated mortar exists between brick, stone and block. Most common areas needing tuckpointing will be exterior walls. While this is mostly the case with vertical walls, Horizontal or “Flat work” like brick porches, patios and walks may need to be assessed for ability to tuckpoint. These types of structures need to have a solid base under them before being tuckpointed. Interior walls can/should also be addressed for structural and aesthetic concerns alike. We’ve Got it. We’ve been in business over 10 years and have a decades of combined knowledge in addressing masonry projects big and small alike. You’ll find we carry an A+ Rating with the BBB and have a 5 star rating with Google, Yelp, YP and others. Many of our projects carry a 5 year warranty in defects against material and workmanship. With Atek, you can rest easy knowing your investment will last. Make sure when comparing quotes, you compare apples to apples. Search far and wide, but here in Saint Louis, Atek has the competition beat for cost with quality. You bet we are. For our safety and yours. Look out for “fly-by-night” companies constantly changing names hiding from their last con. Again, check the BBB for reports or fraud or misrepresentation. Every tuckpointing project is unique in that it will require a specific set up. We have worked on flat ground, 1-3 story homes and high-rise apartment and commercial buildings 20+ stories in the air. Getting to the area that needs addressed is 1st and can sometimes be 90% of the battle. Set-up equipment will vary from project to project and may include, ladders & walk boards, Minor-Major scaffolding set-ups, swing stages and/or powered aerial lifts. Preparing the wall for Tuckpointing. When we can reach the area, the wall is then prepped by removing the mortar joint from the wall. This can be done several ways using a diamond blade on an angle grinder, a small demolition hammer to hammer the joints out, or a steel raker bar to pull the joints out (Very tiring work.) After the joints are removed, the wall is wet, brushed or blown to clean the joints of dust and debris, allowing for the best possible bond between the new mortar and existing brick. Around the world and even across the country, tuckpointing is done in a variety of ways. We use hand crafted steel jointers made by local blacksmiths in St. Louis. Using these tools, mortar is lifted from a hawk board and struck into the wall, leaving clean full joints. After the mortar dries for a bit, the wall is brushed using masonry brush to remove excess material and produce the finish on the joints. The site is then cleaned to remove work related debris. After the mortar cures, the wall is then cleaned using a masonry cleaner. The cleaner is acidic and will remove residual mortar hazing left from the tuckpointing process. Posted in St. Louis Tuckpointing & Brick Repair, Tuckpointing, pointing, re-pointing. Mortar joint Repairs and tagged block, Brick, define tuckpointing, mortar, repair, restoraion, stone, tuckpointing, waterproofing, what is tuckpointing, when to tuckpoint on January 30, 2013 by Jacob Thompson.